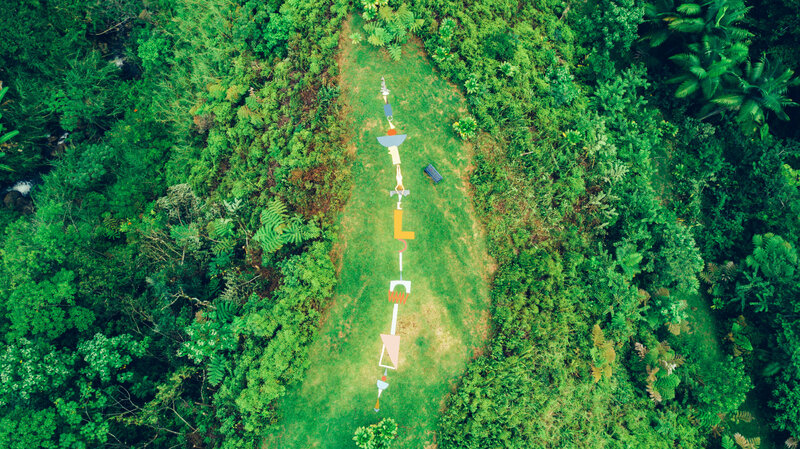 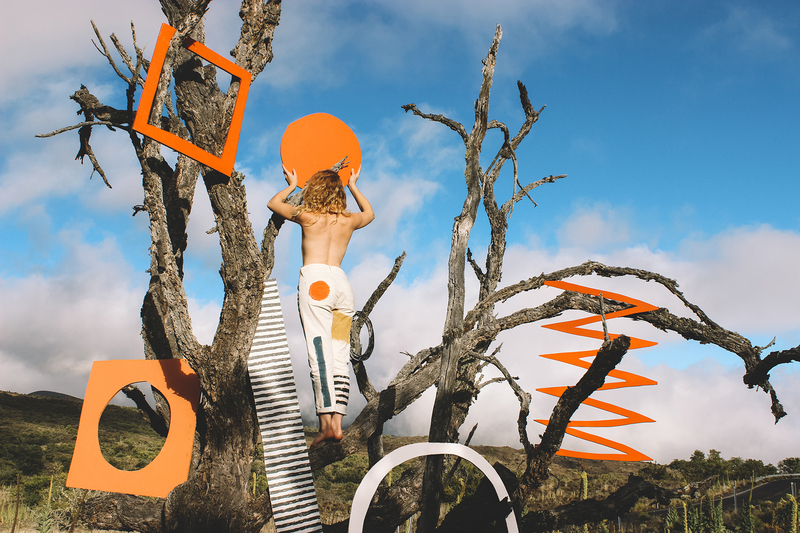 Nothing Is Separate: A Collaboration with Nature is an experimental, traveling installation created by Detroit-based mixed-media artist Ellen Rutt as part of Temple Children’s artist residency in Hilo, Hawai‘i. 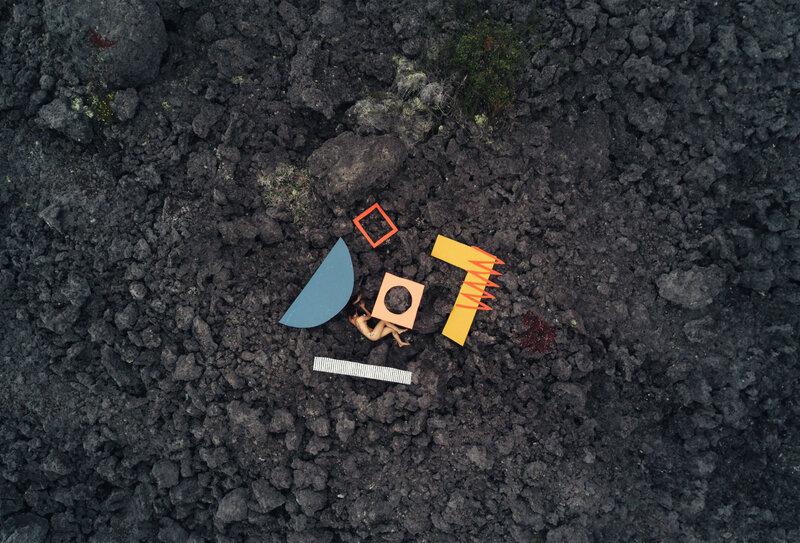 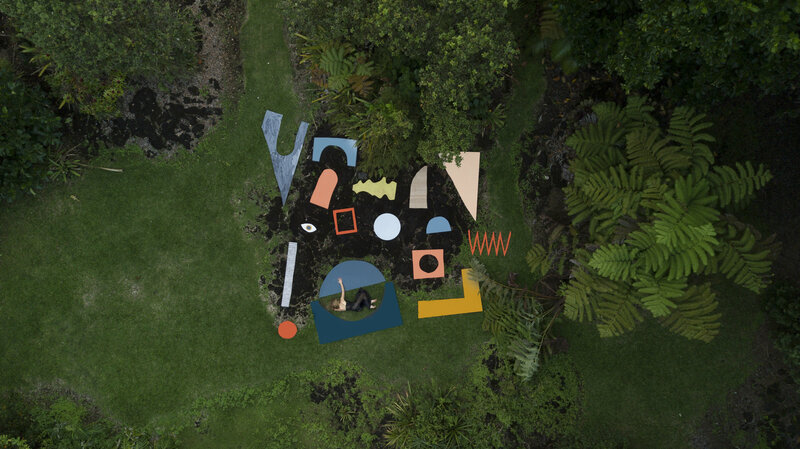 By creating intuitive compositions of painted, repurposed wood shapes and costumes at several of the island’s majestic, distinct and isolated terrains, Rutt explores the complex relationship humans have with both natural and constructed environments. 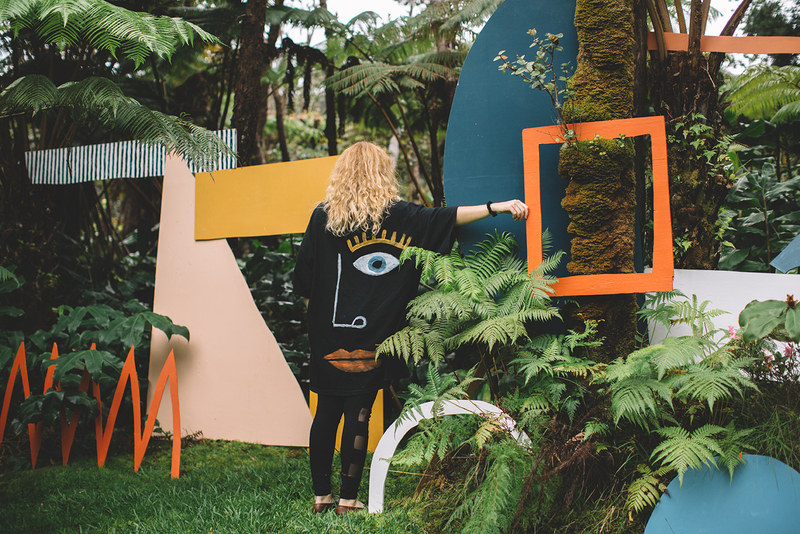 The bright colors and familiar shapes signal our attraction to aesthetics and modes of idealized presentation.